Holiday Cheer and Lights on San Diego’s Big Bay! For those of you making holiday plans to visit San Diego, following are a few fun and festive ways to make some merry on San Diego’s sparkling Big Bay. 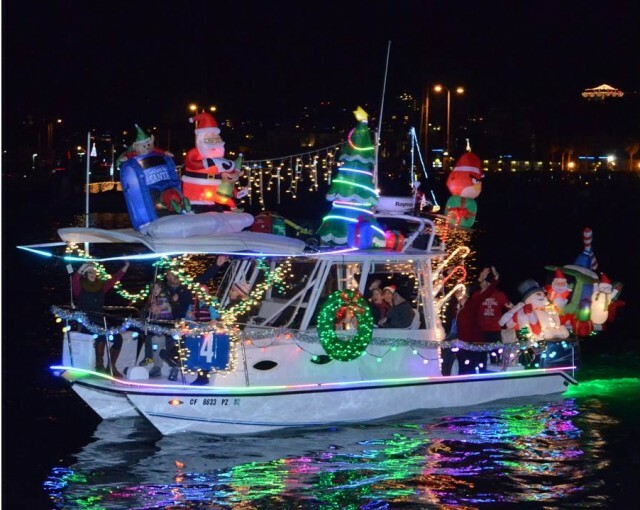 View more than 80 decorated boats at the San Diego Bay Parade of Lights! What’s better than a cool holiday boat parade? Two holiday boat parades! 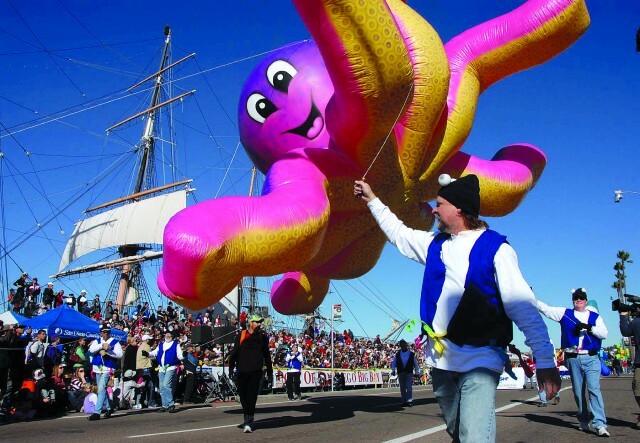 Yep, the 43rd Annual San Diego Bay Parade of Lights takes place on two Sundays next month. 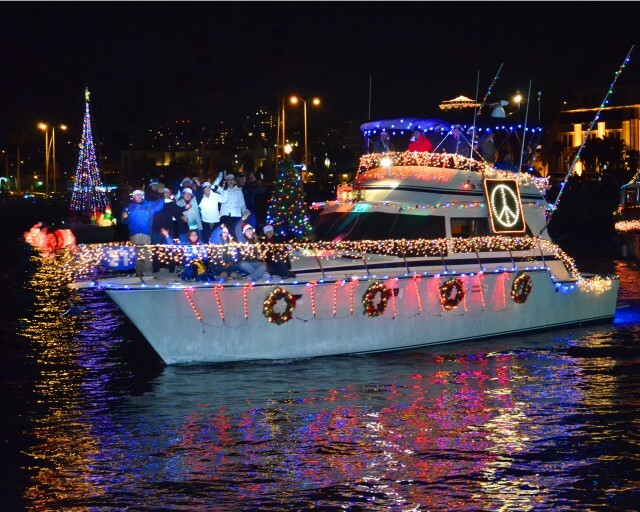 More than 80 boats lavishly decorated from bow to keel with colorful twinkling lights and decorations will glide the waters of San Diego Bay. It’s quite a spectacle and best part, it’s free! This year’s theme is “Children’s Stories” which is sure to be a hit with the kids. Check out the route map here. The procession starts at 5:30 PM, but head to the Bay early for prime viewing spots including the Embarcadero and Embarcadero Park (North & South), Seaport Village, Coronado Ferry Landing, Harbor Island and Shelter Island. Check out the Port of San Diego’s Big Bay Balloon Parade, “America’s Largest Balloon Parade” floating down Harbor Drive along the Embarcadero. And who knows, you might be on TV! The parade is televised nationally and on local Channel 4. You’ll see world-class marching bands, colorful floats, drill teams and of course, a procession of enormous balloons of familiar cartoon and pop culture characters. Over 100,000 spectators are expected! The parade is part of our big annual National University Holiday Bowl festivities when the eyes of the nation are on San Diego for exciting gridiron action between two Pac-10 and Big 12 Conference teams. Make some waves on San Diego Bay this holiday season! 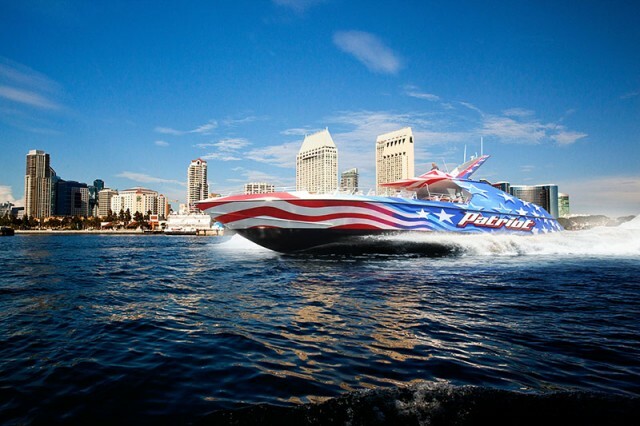 Big Bay Boom – Star-Spangled 4th of July Fun on San Diego Bay! 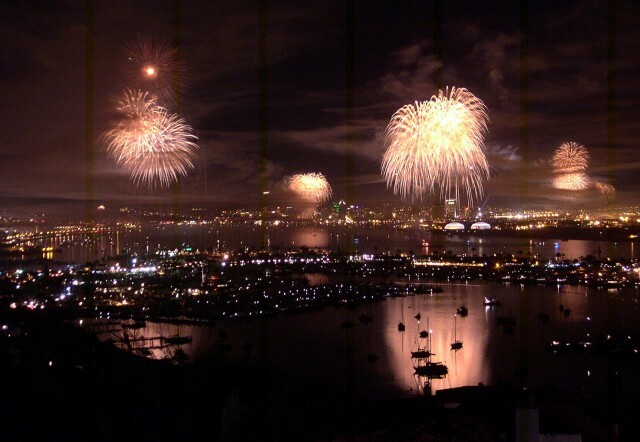 Celebrate the birth of our nation with fireworks in San Diego including the Big Bay Boom 4th of July Extravaganza. When it comes to 4th of July celebrations, three words that say it all: “Big Bay Boom” the biggest most spectacular fireworks show in San Diego! This star-spangled extravaganza, impeccably choreographed to music (105.7 FM), takes place on San Diego Bay – “The Big Bay” – launching from barges strategically placed off Shelter Island, Harbor Island and the Embarcadero North and South. More than 850,000(!) people are expected to ring the bay throughout the day to claim a prime viewing spot. The best viewing is at the north Embarcadero (scope out the beautiful new Waterfront Park), Seaport Village, Embarcadero Marina Park North and South, Coronado Ferry Landing, Shelter Island and Harbor Island. The Port of San Diego is offering a FREE shuttle service to/from Shelter and Harbor Islands starting at 6 PM, going until 11 PM. Shuttles depart from the Port’s Administration Building parking lot (3165 Pacific Highway) and near the West Marine parking lot (3717 Rosecrans St.). 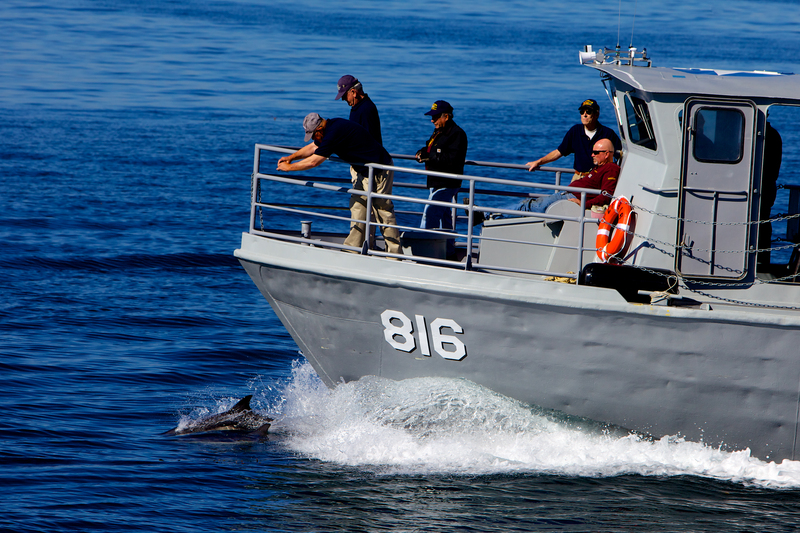 Take a ride on an authentic U.S. Navy Swift Boat! 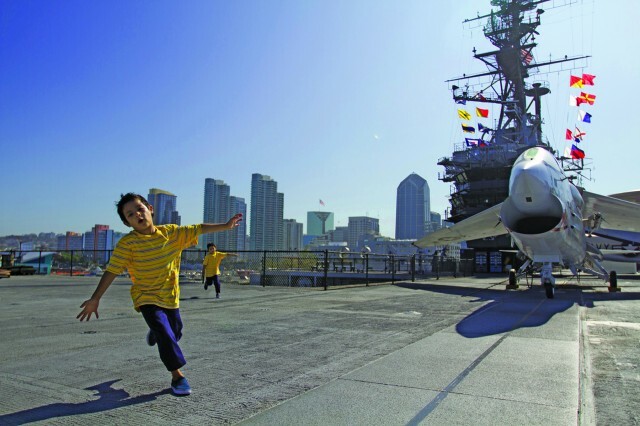 Fun for all ages on the USS Midway! Cabrillo National Monument, the Plymouth Rock of the West where explorer Juan Rodriguez Cabrillo discovered San Diego Bay in 1542; kids will love the tidepools! USS Midway aircraft carrier, where San Diego’s rich Navy history comes to life on the world’s most visited ship museum! See sea turtles up close at Living Coast Discovery Center. See dozens of sea lions lounging on the docks in Point Loma. SEAL Tours Sea & Land Adventure gets you up close for phenomenal photo opps! So does San Diego Speed Boat Adventures. And for fine dines and shop-portunities second to none, the new Headquarters at Seaport District is tres-chic! P.S. Just for fun, check out 2012’s Big Bay Boom which went off accidentally in one big 15-second boom seen around the world. 5 to Try for Big Fun on San Diego’s Big Bay! 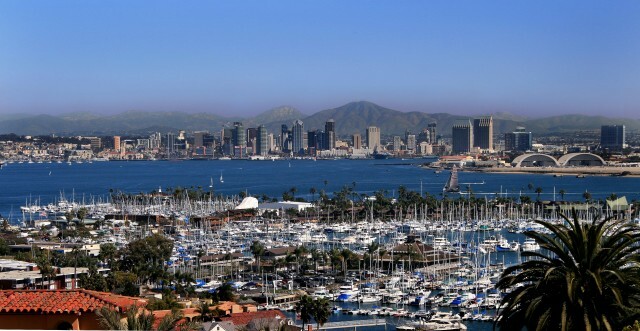 Spring is here and there’s no better time to make a splash on San Diego Bay – also called the “Big Bay” – with its treasure trove of attractions, tours, events and cool points of interest. Spend a day with the kids fishing. 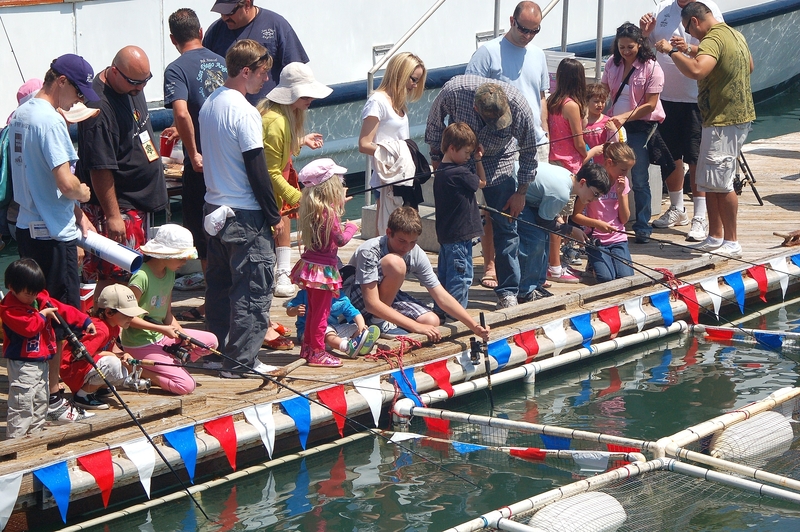 The Port of San Diego’s Day at the Docks celebration in April is the West Coast’s largest public sportfishing celebration – and the official start of Southern California’s popular spring saltwater fishing season. 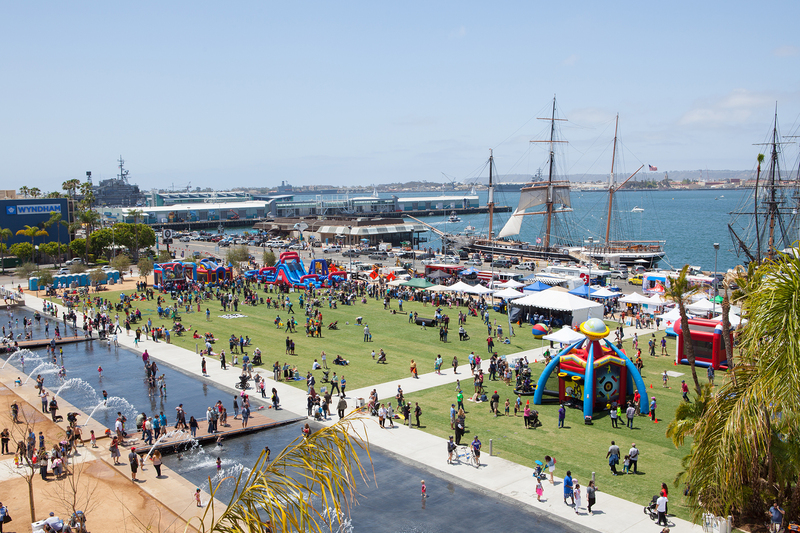 Festivities at American’s Cup Harbor include over 200 maritime exhibits, live entertainment, a casting competition, captains’ dunk tank, free fishing and kids art areas. It’s fun and free! Rendering of how the San Salvador ship will look when completed. 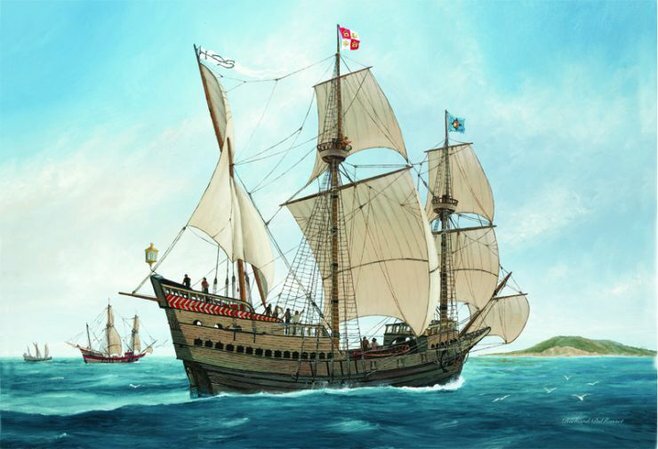 Did you know: in 1542 European explorer Juan Rodriguez Cabrillo sailed aboard his ship, the San Salvador, and reached “a very good enclosed port” naming it “San Miguel.” Today we call it San Diego Bay and visitors can step back in time to check out the Maritime Museum of San Diego’s building of a full-sized, fully functional, historically accurate replica of Cabrillo’s flagship, the San Salvador. The framing is nearly complete and it’s easy to imagine the ship that she will become. Ahoy! The South Bay city of Chula Vista is home to one of my favorite attractions for up-close animal encounters: the Living Coast Discovery Center. 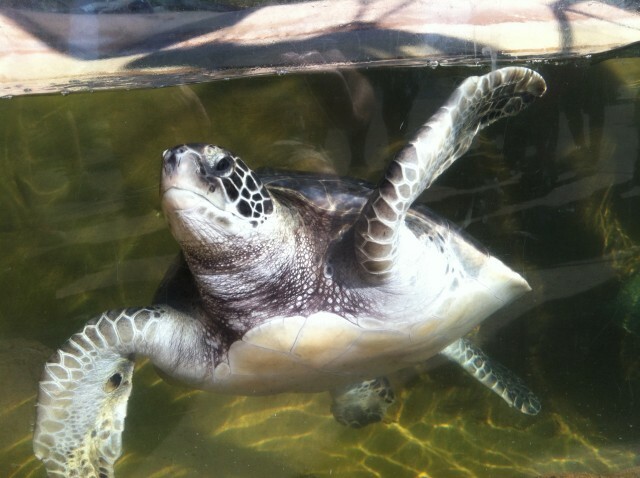 You can see endangered green sea turtles (tip: go during feeding time! ), leopard sharks, friendly stingrays (minus the stingers so you can pet them!) and magnificent birds like falcons and burrowing owls. The observation tower and hiking trails afford picturesque views of the surrounding wetlands and bay. Water activities abound on the bay, from the affordable Coronado Ferry ride, to narrated harbor tours (on Flagship and Hornblower), SEAL Tours, whale watching excursions, kayak tours (including San Diego’s only urban kayak adventure), Jetpack America rides (you too can fly like a superhero!) and two new thrilling, turbo-charged boat rides (the Sea Rocket and Flagship Patriot). Let’s make some waves! Foodies and shoppers are in for a treat at the new Headquarters at Seaport District, located in San Diego’s former Spanish-style police headquarters (pose for pix in an actual jail cell). Nosh on gourmet tacos at Puesto or grab a slice at Pizzeria Mozza, Chef Mario Batali’s first foray into San Diego’s dining scene. Shop-portunties include local surf photographer Aaron Chang’s Ocean Art Gallery and Kitson, a celebrity hot spot and go-to fashion boutique dedicated to pop culture. Sea Life had an underwater reading, which surely was neat. And Hornblower Cruises offered free face-painting too. When he paddled out with Surf Diva for a book reading in the ocean. Cuz World Oceans Day fun continues til Tuesday! 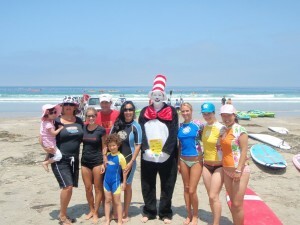 It’s official, I’ve got Seuss fever from all the World Oceans Day fun I had over the weekend. But just in case you missed out, there’s still more fun to be had tomorrow, June 8, the official World Oceans Day. San Diego Botanic Garden will present a reading of “One Fish, Two Fish,” ocean-themed activities and arts & craft projects geared toward pre-school age children . Birch Aquarium at Scripps will host Seuss-themed activities, including a scavenger hunt of “zany named” fish and a special World Oceans Day dive show in its two-story kelp forest tank . The New Children’s Museum will celebrate World Oceans Day with a reading of “One Fish, Two Fish” at 10:30 a.m. and the creation of a massive ocean mural. SeaWorld San Diego will have a World Oceans Day booth, which will include live animal visits and educational games to remind visitors how to keep the oceans safe. Corvette Diner & Gamers Garage wil host a reading of “One Fish, Two Fish” at 3 p.m. with a local TV news personality and offer a “Wear Blue, Tell Two” promotion throughout the day. San Diego International Airport will hand out free souvenirs in celebration of World Oceans Day. 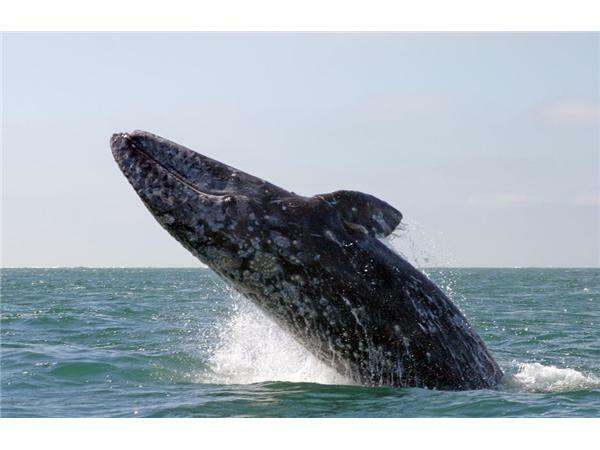 Whale watching season is in full swing as California gray whales migrate down to Baja California to birth their young in warmer waters. 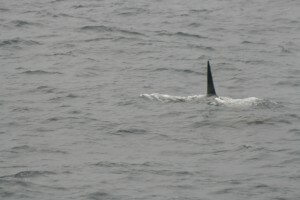 But to our surprise, it seems that a pod of Orcas (aka Shamus) are in town for the holidays.